sooner but hey ho, here we are now! I wonder what he's singing? I'm guessing it's "The Holly & The Ivy"
The papers are from the CD too. little red gems to embellish. The decoupage is easy to cut out & layer up. A little side view to show the dimension. & have lots of interesting little details to them! Adorable and very pretty card!! Thank you for joining us at The Sisterhood for our Christmas challenge. I do love this one Dawn, the image is such fun and you've embellished it beautifully. I'm very into blue and red this Christmas so love the coloyrs you've used. Cute image and adorable card Dawn! Great job! Thanks so much for joining us at The Sisterhood’s ‘It’s Beginning to Look a Lot Like Christmas’ challenge and please come back again soon! 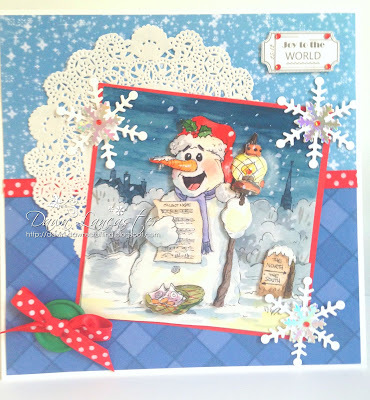 Love your hapy jolly snowman! Awesome card! A super card Dawn, such a fun snowman image. He is indeed a jolly snowman and I can hear him singing from here! Thank you for sharing with us. Love this image. He looks so cute. Great layering which gives a nice depth. Hugs Mrs A.
Lovely card. What a great busking snowman. 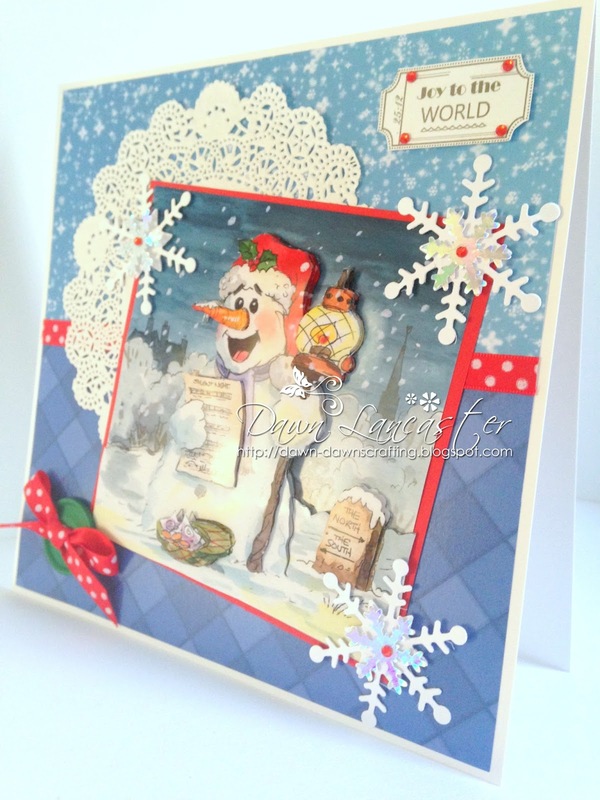 Thank you for joining in the Winter Activities challenge at Incy Wincy Designs. Hi Dawn, I just popped back to say thank you for joining us at CD Sunday.